In 2000, CrossGen Comics launched. Founded by millionaire Mark Alessi, CrossGen sought to expand the comics industry by forgoing super-hero titles and focusing on the Sci-Fi, Fantasy, Victorian Mystery, and Sword and Sorcery genres. Each of CrossGen’s titles stood on their own but was tied to a greater mythology thanks to a Sigil, which was the source of many characters powers. When I started this site, if you told me I’d write about Archie Comics I’d have called you insane. Even as a kid, I always thought Archie was the comic your parents wanted you to read. He was stuck in 1950. But time’s change and so do publishers. These past few years Archie Comics has taken steps to show they’ve moved past “Sugar Sugar.” “Afterlife with Archie,” (A zombie apocalypse starring Archie) reviving their super heroes as the Dark Circle, and killing off the main character, have shown that Archie is a company that is not afraid of taking risks. The latest move is a crossover with Predator. Published by Dark Horse Comics, is “Archie vs. Predator” the most absurd crossover since “Archie meets the Punisher“? Lets find out. 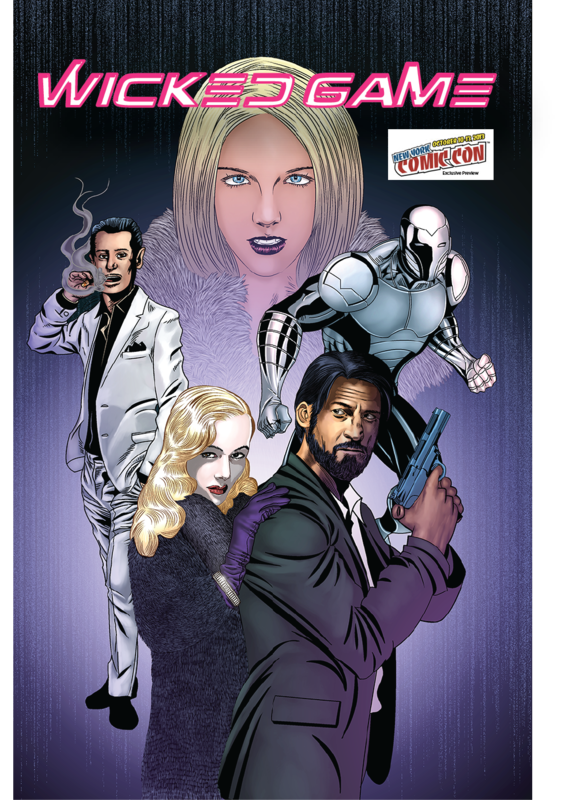 Get a FREE Wicked Game Preview at New York Comic Con. New York Comic Con is this weekend and while I don’t have a table, “Wicked Game” will have a presence. I will be wandering around Artists Alley and the show floor with FREE five page previews of the book. If you’d like one all you have to do is say hi. I’ll even sign it for you. Also, stop by “Wicked Game” letterer Mindy “Indy” Steffen’s table at Artist’s Alley table V15 to check out her work and chat about Robotech. Also, don’t forget to check out Collector’s Kingdom at booth 2679 for books by Pronto Comics, the publishers of my previous release, Blackout. Finally, follow me @ToddCMatthy for more on my con adventures. 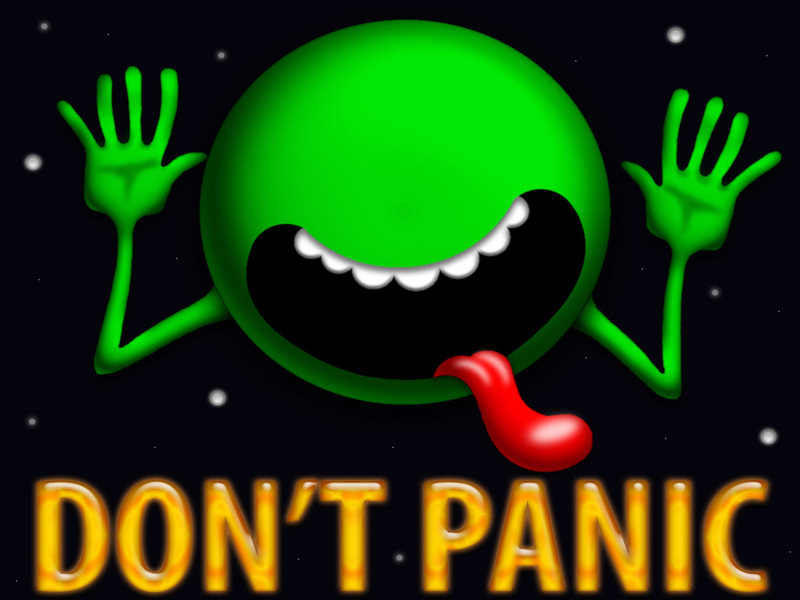 Don’t forget to “Like” the Facebook page. If you typed in sledgehammerproductions.wordpress.com and find yourself redirected to toddmatthy.com, don’t worry. I’m in the process of renaming the page. Same great content. Easier address to remember. While your here, be sure to “Like” the Facebook page for my upcoming comic book, Wicked Game. Keep living dangerously my friends. 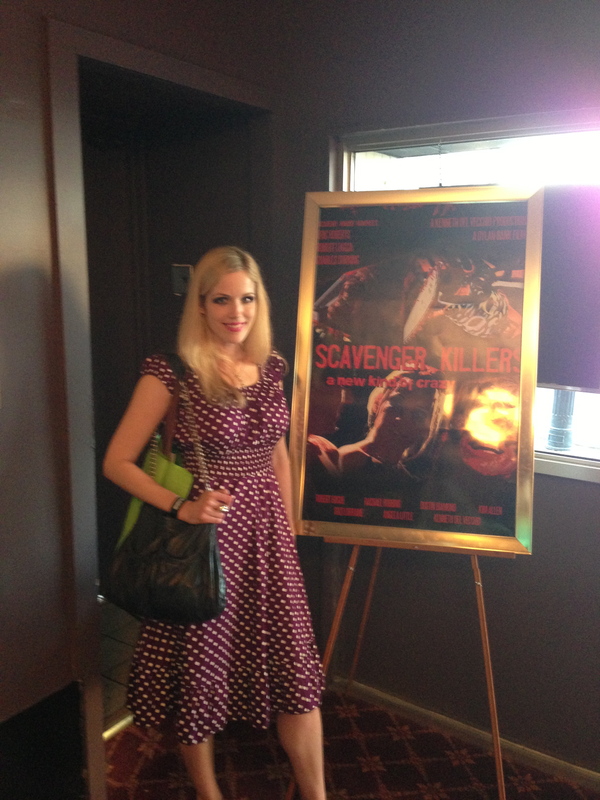 Suzi Lorraine beside a Scavenger Killers poster at the Hoboken International Film Festival.